Jeffrey P. O'Kelley is a partner at Lesser Lutrey Pasquesi & Howe, LLP specializing in estate and trust litigation. He is also the lead chair of the Lake County Bar Association Trusts and Estates Committee, a role he has served in for several years. Mr. O'Kelley specializes in estate and trust disputes such as will and trust contests, claims for financial exploitation of the elderly and disabled, will and trust construction cases, complex fiduciary litigation and contested guardianship proceedings. In addition, Mr. O'Kelley has extensive appellate litigation experience, including the published decisions of In re Estate of Walsh (2012 IL App (2d) 110938) and In re Estate of LaPlume (2014 IL App (2d) 130945). Mr. O'Kelley also practices in the fields of estate planning and commercial litigation, as well as estate and trust administration. He has lectured at Loyola University School of Law, and he has written for the Illinois Bar Journal, the Illinois State Bar Association Trusts & Estates Newsletter, and the Lake County Bar Association Docket. He is an active member of both the Illinois State Bar Association and the Lake County Bar Association. 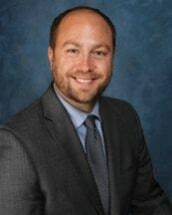 Mr. O'Kelley graduated with honors from the Chicago-Kent College of Law, and he has been licensed to practice law in the State of Illinois since 2009.